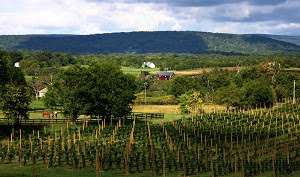 Loudoun County is renowned for rolling hills of farms and vineyards, pastures filled with grazing horses, and the Blue Ridge Mountains; it is also just 25 miles from Washington DC. Middleburg, known as the capital of Virginia's horse country, has been welcoming visitors since 1787. It is also a shopper’s delight, with home furnishing and antique stores, boutiques and more; a stroll through this historic hamlet is an experience in itself. Middleburg has hosted iconic American personalities such as Jackie Kennedy and F. Scott Fitzgerald. Purcellville is a charming farm town that became the center of commerce in Western Loudoun with the arrival of the railroad in 1874. Today, the rail bed has been converted to the Washington & Old Dominion Railroad Regional Park, a paved multi-use recreation trail that runs 45 miles from Arlington, Virginia. Waterford is a National Historic Landmark Village where Virginia's oldest juried crafts fair is held the first weekend of October. 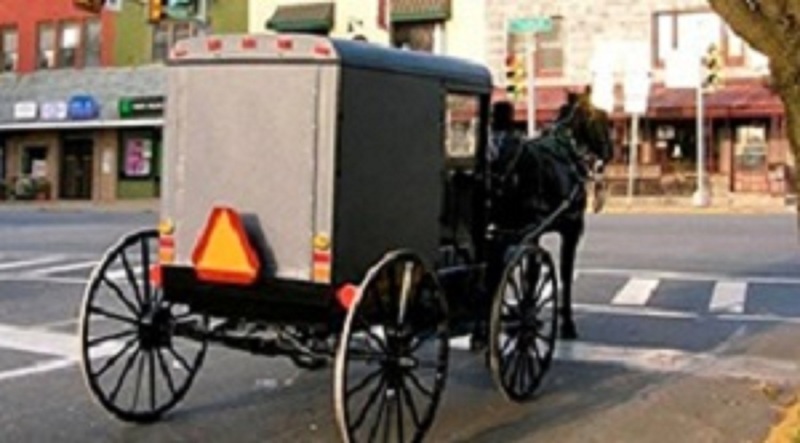 The fair offers historic homes tours, 160 juried craftspeople with hands-on demonstrations, children activities, traditional music and dance, Colonial-era militia encampments, marching fife and drum corps, and Civil War re-enactors with skirmishes. Lovettsville is a German settlement and Loudoun's northern most town. 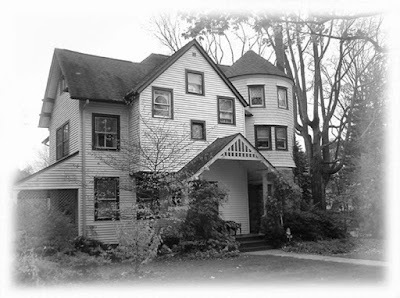 Hillsboro is home to 100 residents. It is the second smallest Virginia town in geographic size, the fourth smallest in population. Hillsborough Vineyards is perched along a mountain slope. The tasting room is housed in a renovated 1840s stone barn, a cool respite during the dog days of summer and cozy by the fireplace in winter. From the terrace outside, visitors experience Hillsborough’s luxuriant gardens and trickling fountains, framing the view of the Loudoun Valleys below and the Blue Ridge Mountains in the distance. Breaux Vineyards is one of Virginia’s largest wineries with over 100 acres planted across a 404 acre estate. Proceed up the meandering driveway past manicured lawns that give way to sweeping views of vineyards as they extend up Short Hill Mountain. Nestled between the hills, Breaux’s vineyard and mountain views can be enjoyed from the tasting room, Patio Madeleine, and their landscaped terraces. Bluemont Vineyards sits high on an eastern slope of the Blue Ridge Mountains at 951 feet above sea level, offering spectacular views of the countryside and beyond. Chester County William Penn established Chester County in 1682 as one of the first three counties in Pennsylvania; West Chester is the county seat. Other historic towns in Chester County include Kennett Square, Oxford and Phoenixville. Each has its own unique agricultural, revolutionary and industrial histories. These "Main Streets of the Brandywine Valley" are treasures of a time gone by with lovely tree-lined streets filled with restaurants, shops, galleries, markets, festivals and more. 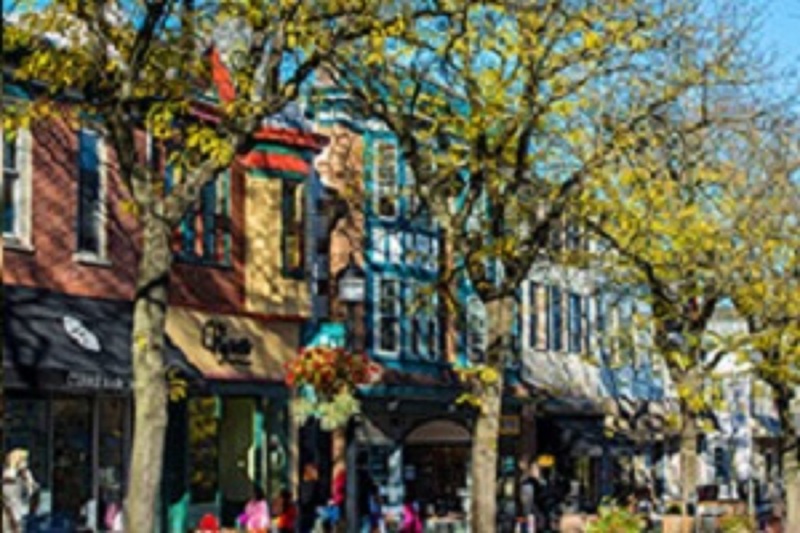 West Chester Nestled in the heart of the Brandywine Valley, West Chester is a picturesque and historic community that offers small-town charm with a cosmopolitan flair. Their downtown boasts 83 shops and 59 restaurants. The Chester County Historical Society is a history museum which tells the American story from a local perspective. 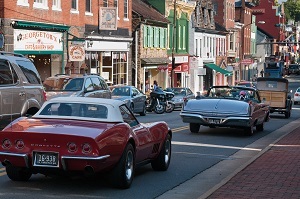 West Chester's Main Streets offer a host of diverse shops and galleries. Specialty shops featuring imported olive oils, fine handmade chocolates, cigars and skate and surf equipment. The West Chester railroad, one of the oldest in America, offers a 90-minute train excursion through the beautiful Chester Creek Valley. Kennett Square The town was originally called Kennet Square, with the name "Kennet", England, and "Square" coming from the original William Penn one square mile land grant. General Sir William Howe marched through Kennett to the Battle of Brandywine during the American Revolution. Kennett is famous for being the mushroom capital of the world; over 60 percent of the nation's mushroom crop is from this region. This small town main street is filled with an eco-boutique, a rare book store, quilts, antiques and a spa. A walk down Kennett's State Street is also a culinary adventure. Oxford On the way stop to view the historic covered bridges that surround the countryside. Then, stroll down Oxford's Main Street where Amish buggy's share the road, a vibrant art's alliance hosts exhibits, shows and events, farmers markets offer local foods and wares, and charming coffee and tea shops. 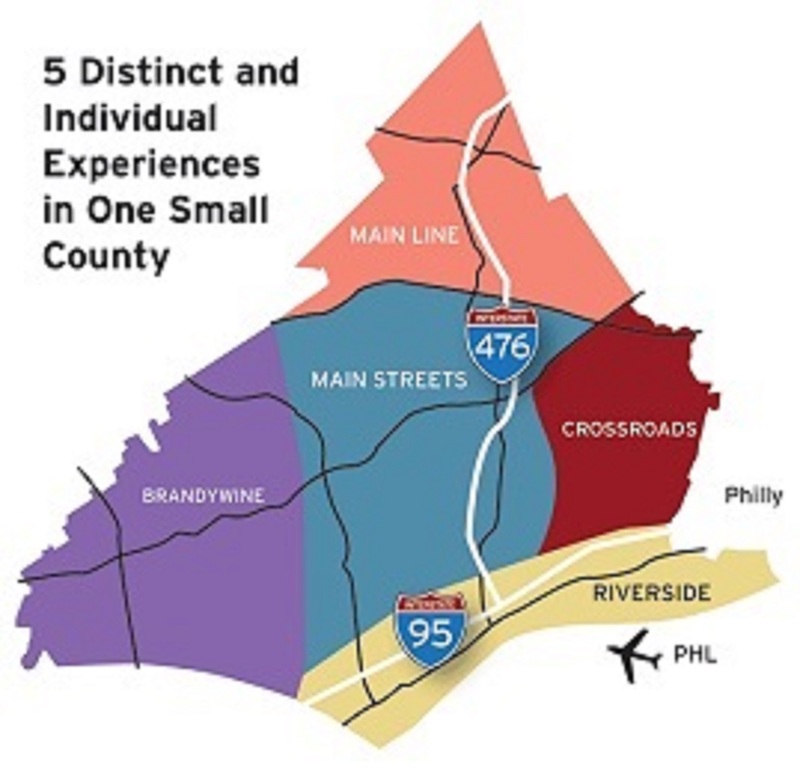 Phoenixville Like many American towns and cities, Phoenixville owes its growth to its waterways. The Phoenix Company Foundry, built in 1882, is home to the Schuylkill River Heritage Center, a historic gateway to northern Chester County that provides information about places of interest to visit throughout the region. 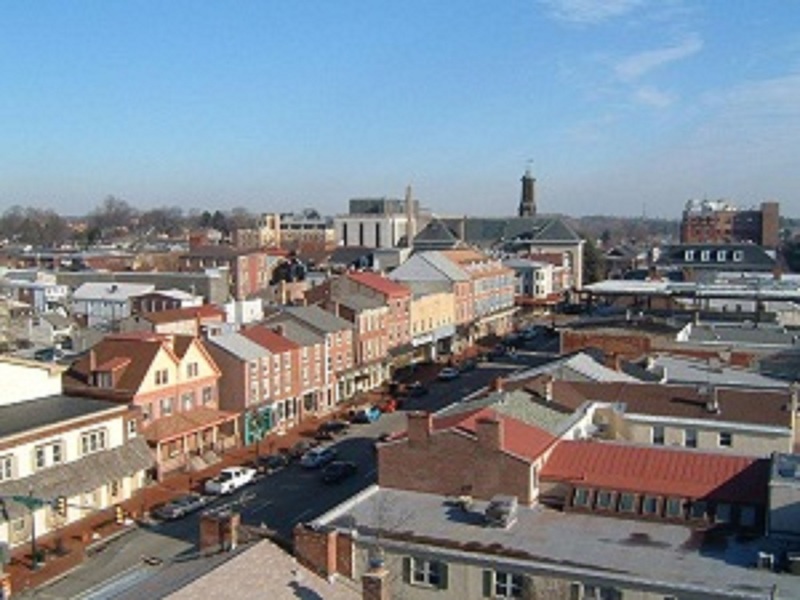 Originally called Manavon, Phoenixville was settled in 1732. In its industrial heyday early in the twentieth century, it was an important manufacturing center and it was the site of great iron and steel mills, boiler works, silk mill, underwear and hosiery factories, a match factory, and Etruscan majolica pottery. The Iron Hill Brewery is a great gathering spot on Bridge Street, Phoenixville's main drag; it specializes in handcrafted beer and creative cuisine. Charming shops line the main street. Beautiful estate vineyards in the rolling hills of Chester County, charming tasting rooms and barrel-aging cellars filled with premium wines that showcase a unique terroir. 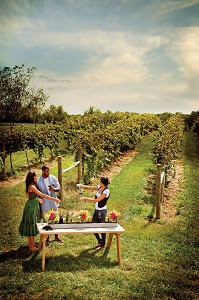 Spanning scenic southeastern Pennsylvania between historic Philadelphia and the Amish countryside outside Lancaster, the four wineries of the Brandywine Valley Wine Trail are located within an easy drive of one another and are open year-round. Pennsylvania's climate and terrain provide some of the best growing conditions on the east coast, allowing Brandywine Valley to be one of the state’s premier wine regions. Brandywine Valley's bucolic countryside is home to many fine wineries. 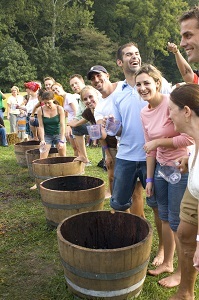 Make a stop at Chadds Ford Winery, the largest wine producer in the state or visit any of the unique, family farmed wineries along the Brandywine Artisan Wine Trail. Lansdowne Theatre is a historic theatre building located in Lansdowne, Delaware County. 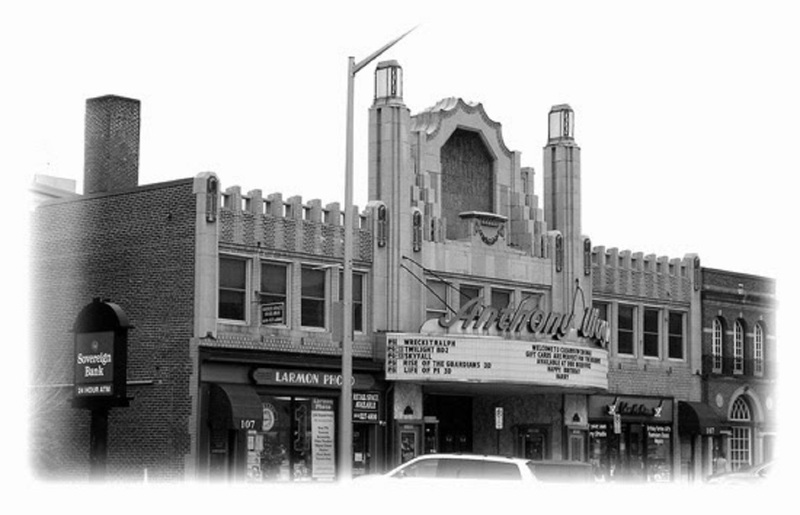 It was built in 1927, and consists of a two-story front section with street level shops and offices above, and a 1400 seat auditorium. It was designed by noted theater architect William Harold Lee (1884-1971) and is in the Spanish Revival style. 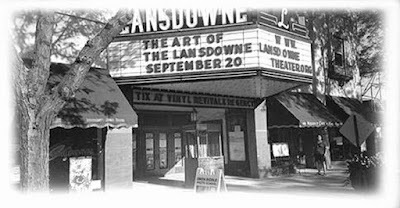 It recently received a new marquee and is in the process of being restored.